FORT PIERCE — An airplane pilot has no injuries after the plane he was in flipped over at the St. Lucie County International Airport, said St. Lucie County Fire District spokeswoman Catherine Chaney said. Chaney said the Fire District got a call of a plane flipping over about 3:28 p.m. Tuesday at the airport. "The plane was on the runway when it flipped over," Chaney said. "The pilot was in the plane." Erick Gill, St. Lucie County government spokesman, said he thinks the heavy wind caused the small plane to flip over. "It was minor damage; I don't have the details," Gill said. AIRCRAFT FORCE LANDED IN A FIELD, NEAR MESQUITE, ARIZONA. 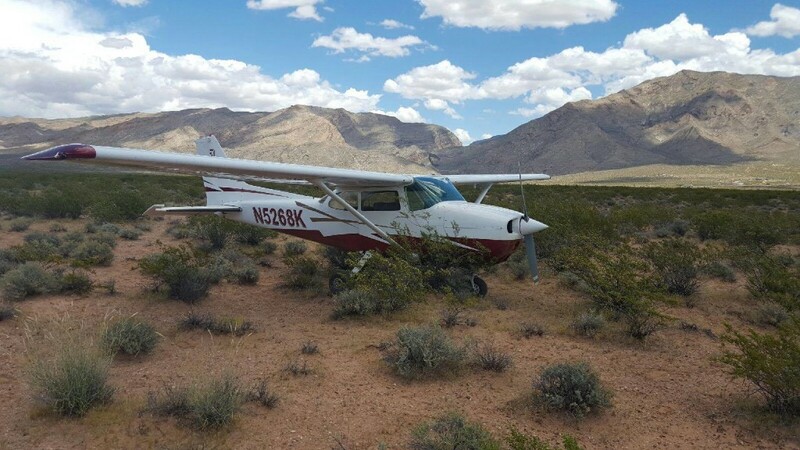 MOHAVE COUNTY, Ariz. — A single engine plane was forced to make an emergency landing Monday after the pilot smelled something burning and the cabin filled with smoke. The pilot, San Diego resident Dylan Tobias, said he was working on his commercial flight training. The plane, a 1980 Cessna 172P, was headed to San Diego from the St. George Regional Airport. Dylan Tobias was philosophical about the hard landing. 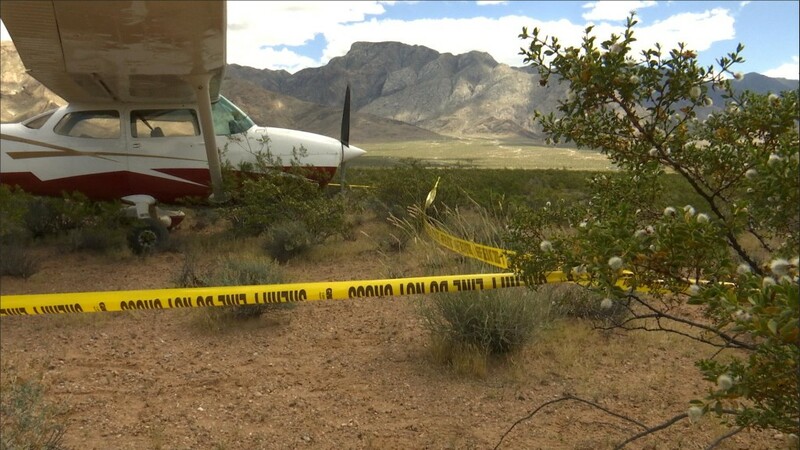 Units from the Mohave County Sheriff’s Office and the Beaver Dam Fire Department responded to the scene, followed later by representatives from the FAA and the NTSB. 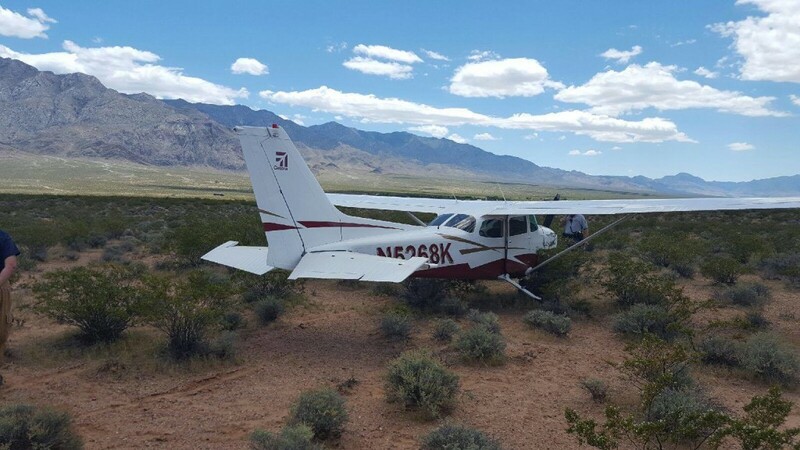 BEAVER DAM, Ariz. — A young pilot and his father escaped injury Monday when the single-engine plane they were flying was forced to make an emergency landing in the Mohave County desert near Beaver Dam. 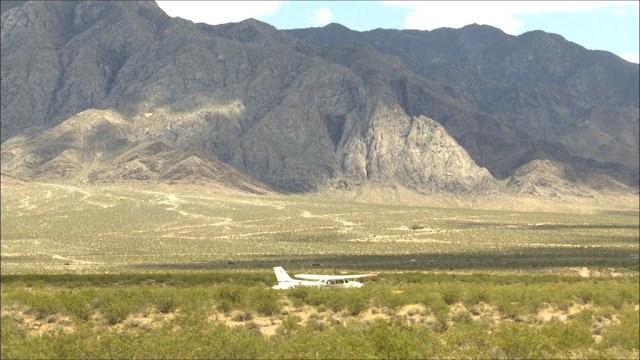 According to Trish Carter, spokeswoman for the Mohave County Sheriff’s Office, 20-year-old Dylan Tobias and his father, 57-year-old Eric Tobias, took off Monday morning from St. George, Utah, headed home to La Jolla, Calif., when they smelled an electrical fire in the cockpit of the Cessna. 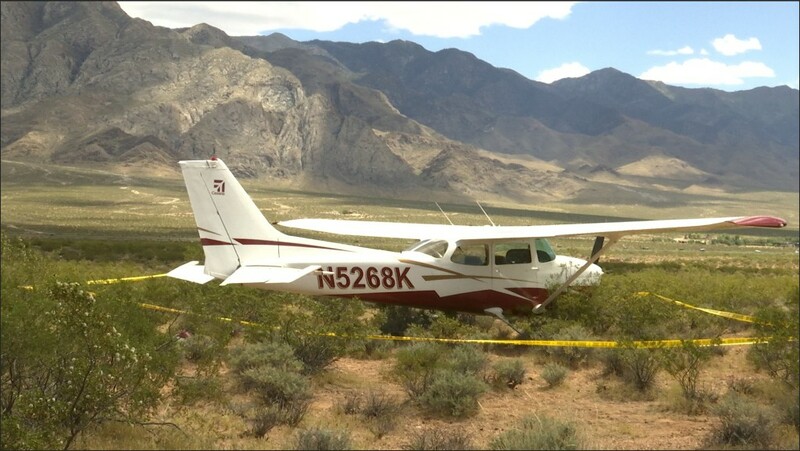 The sheriff’s office was notified of an emergency landing in the desert north of Interstate 15 and south of Virgin River Gorge. At about 11:56 p.m., Carter said, deputies were notified by a passerby that a small plane had landed in the area. Shortly thereafter, a person aboard the airplane notified authorities of the landing that reported that everyone was OK.
Deputies found the fixed-wing plane and confirmed that both Tobiases were unharmed. The plane sustained minor damage. Cause of the smell had not been determined. The Federal Aviation Administration and the National Transportation Safety Board have been notified. 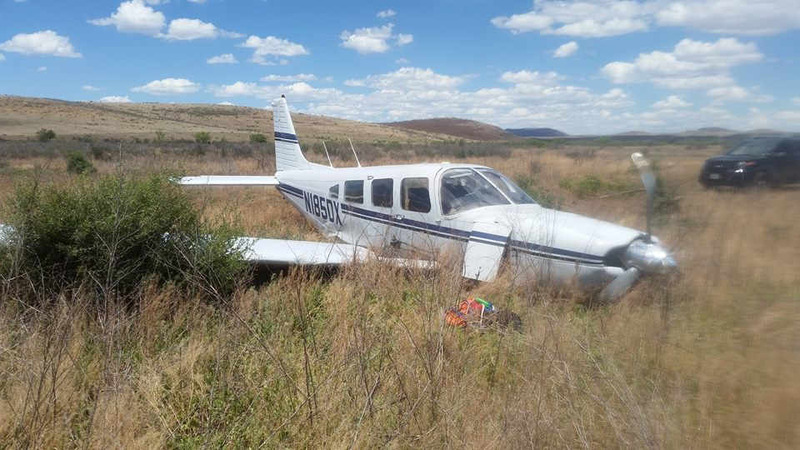 On May 15, 2016, about 1430 central daylight time, a Piper PA-32R-301 airplane, N185DX, was substantially damaged when it impacted terrain following a loss of power 1 mile east of the Alpine-Casparis Municipal Airport (E38), Alpine, Texas. 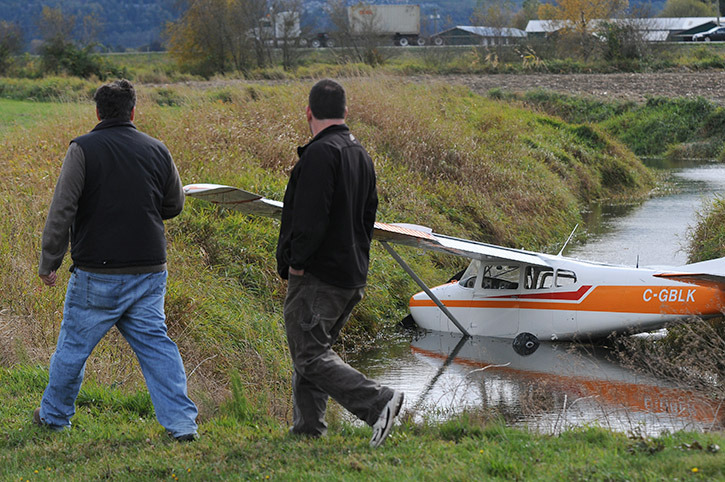 The pilot and passenger were not injured. The personal flight was conducted under the provisions of 14 Code of Federal Regulations Part 91. Visual meteorological conditions prevailed and no Federal Aviation Administration (FAA) flight plan had been filed for the flight. The flight was originating at the time of the accident. According to the pilot, about 700 feet above the ground the cylinder head temperature went really high. The pilot turned back towards the airport and landed short of the runway after losing power. The right wing sustained substantial damage during the impact with terrain. 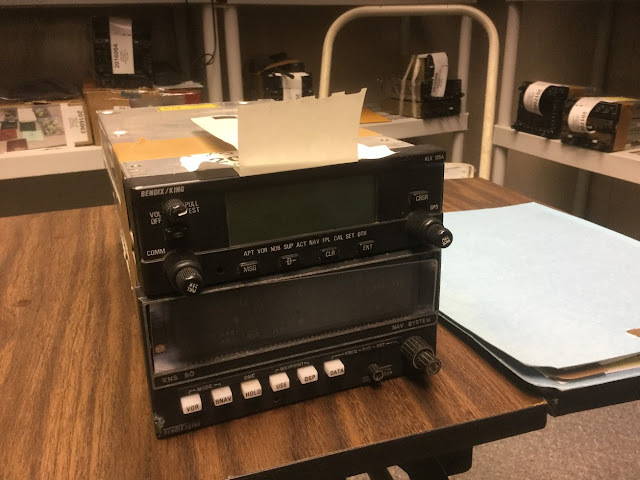 OTHER EQUIPMENT: KLX-135A, KNS-80, Collins AMR-350, VHF-251, VIR-351, TDR-950, Flight-Com 403 6 place intercom, Pioneer KEH-M4500 AM/FM. 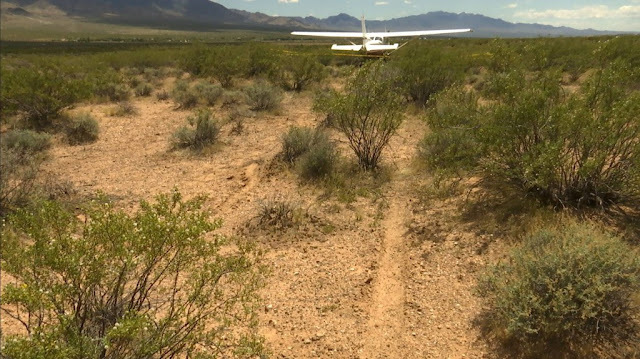 DESCRIPTION OF ACCIDENT: On 5/16/2016 aircraft was unable to climb and lost power after departure from Alpine, TX resulting in off airport landing in rough terrain. DESCRIPTION OF DAMAGES: Propeller strike with sudden stoppage, firewall buckled, lower cowling damaged, fuselage buckled bent and twisted in several places, L & R wings have substantial damage, flaps and ailerons damaged, horizontal stabilator damaged. REMARKS: KNS80 & KLX-135A removed and stored inside. 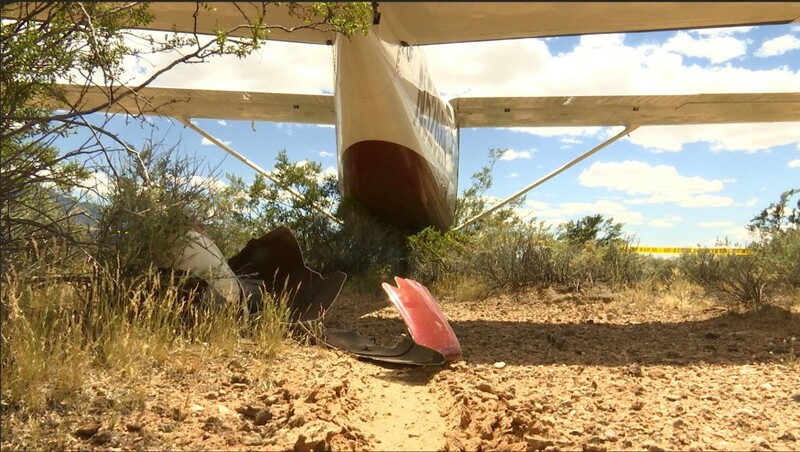 BREWSTER COUNTY, TX (KWES) - A small plane crashed near the City of Alpine Waste Water Treatment Plant in according to Brewster County Sheriff’s Office Facebook page. 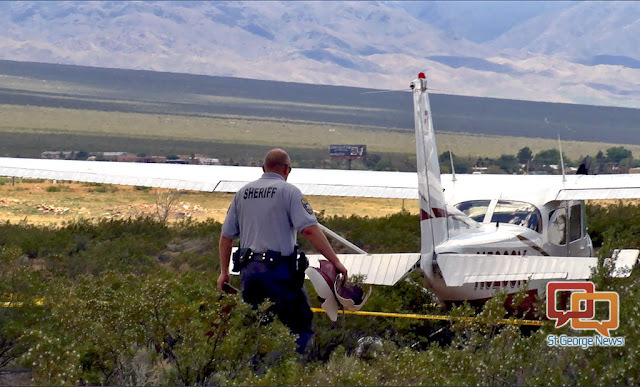 The pilot, Mark Thomas, reported engine trouble upon flying out of the Alpine Municipal Airport. Thomas tried take the plane back to the airport, but was unsuccessful. The plane was forced to land in an open field, about two and a half miles southeast of the airport. Thomas said he and his wife were headed back to Corpus Christi after a trip to Terlingua, both were uninjured. Authorities say the Federal Aviation Administration was notified. The private pilot stated that, while on a cross-country flight, he noted that the airplane was losing electrical power and decided to make a precautionary landing. The pilot attempted to extend the landing gear and advised air traffic control of the emergency before all electrical power was lost. Since electrical power was lost before the landing gear extension cycle completed, he was unable to verify that the landing gear was down and locked in place, as the gear position indicator light would not illuminate due to the loss of electrical power. The pilot also referenced the manufacturer’s emergency checklist for “Landing Without a Positive Indication of Gear Locking” and visually confirmed that the gear appeared to be fully extended. Upon touching down on the runway, the main landing gear collapsed, and the nose gear remained extended. Postaccident examination of the airplane revealed that the cause of the electrical power failure was the main electrical contactor, which had shorted out internally and burned. The part was original to the airplane and had accrued about 3,235 total hours. The landing gear was extended and retracted by hydraulic actuators operated by an electrically-driven hydraulic pump. It is likely that, when the pilot moved the landing gear selector to the down position, the extension cycle did not complete due to the loss of electrical power, resulting in insufficient hydraulic pressure to fully extend and lock the gear. The airplane was equipped with an emergency gear extension handle that would have allowed the pilot to manually complete the extension; however, the checklist that the pilot used did not instruct the pilot to manually lower and lock the gear. If the checklist had included the use of the emergency landing gear extension procedure, the pilot would likely have been able to manually increase hydraulic pressure in the system and avoid a gear collapse on landing. Internal failure of the main electrical contactor, which resulted in a complete loss of electrical power and an inability to extend the landing gear through normal means. On May 16, 2016, about 1106 eastern daylight time, a Cessna R182, N9077C, sustained substantial damage when the main landing gear collapsed during a precautionary landing at Lake City Gateway Airport (LCQ), Lake City, Florida. The private pilot was not injured. The airplane was registered to and operated by a private company. A visual flight rules flight plan was filed for the flight that originated from Punta Gorda Airport (PGD), Punta Gorda, Florida, about 0945, and was destined for DeKalb-Peachtree Airport (PDK), Chamblee, Georgia. Visual meteorological conditions prevailed for the personal flight conducted under 14 Code of Federal Regulations Part 91. The pilot stated that about one-hour into the flight, the entire instrument panel "began flickering then went completely dead." He checked all of the circuit breakers and reset the avionics master switch, but was unable to restore electrical power. Before losing all power, the pilot informed air traffic control of the electrical failure and that he would be making a precautionary landing at LCQ. He then reduced speed and extended the landing gear via the landing gear extension handle. The pilot said that when he visually checked the left main gear (pilot side) it appeared to be down and locked, but he was unable to verify because the gear down-and-locked light was not working due to the loss of electrical power. When the pilot arrived at LCQ, the control tower used light gun signals to instruct him to fly by the tower, after which, they cleared him to land with a solid green light signal. When the airplane touched down, the main landing gear collapsed and the nose gear remained extended. This resulted in substantial damage to the right horizontal stabilizer. Several antennas and the rightwing tip were also damaged. According to the Cessna R182 Pilot Operating Handbook (POH), page 7-11 to 7-12, Landing Gear System, "The landing gear extension, retraction, and main gear down and lock operation is accomplished by hydraulic actuators powered by an electrically-driven hydraulic power pack. Power pack operation is started and stopped by a pressure switch and hydraulic pressure is directed by the landing gear lever." Once the lever is moved to the up or down position, it directs hydraulic pressure to move the gear to the selected position. Two position indicator lights are provided to show the landing gear position; a green light indicates the gear is down and locked and an amber light means the gear is up or retracted. The POH also said, "During a normal cycle, the gear retracts or extends and locks, limit switches close, and the indicator lights comes on indicating completion of the cycle. After indicator light illumination, the power pack will continue to run until the fluid pressure reaches 1500 PSI, opens the pressure switch, and turns the power pack off. A normal operating pressure of 1000 PSI to 1500 PSI is automatically maintained in the landing gear system, and is sufficient to provide a positive up pressure on the main landing gear. The nose gear incorporates an over-center mechanical linkage which provides a positive mechanical up and down lock." If electrical power was interrupted at any point prior to or during the extension cycle, the hydraulic power pack would have been unable to maintain sufficient pressure in the system to fully extend the landing gear. 1. Before Landing Check - - COMPLETE. 2. Approach -- NORMAL (full flap). 3. Landing Gear and Gear Pump Circuit Breakers --IN. 4. Landing -- TAIL LOW as smoothly as possible. The pilot stated that he followed this checklist prior to landing, in addition to visually checking the landing gear himself. Though the airplane was equipped with an emergency landing gear extension handle, though this checklist did not call out for its use. The POH only instructed the pilot to use the emergency landing gear extension handle when the landing gear failed to extend. A review of the emergency checklist procedures for Electrical Power Supply System Malfunctions also did not mention for the pilot to use the emergency hand pump to extend the landing gear in the event of a complete electrical failure. A postaccident examination of the airplane by a mechanic revealed the main electrical contactor was installed correctly, but was burned and had shorted out internally. The part was original to the airplane and had accrued about 3,235 total hours of operation. 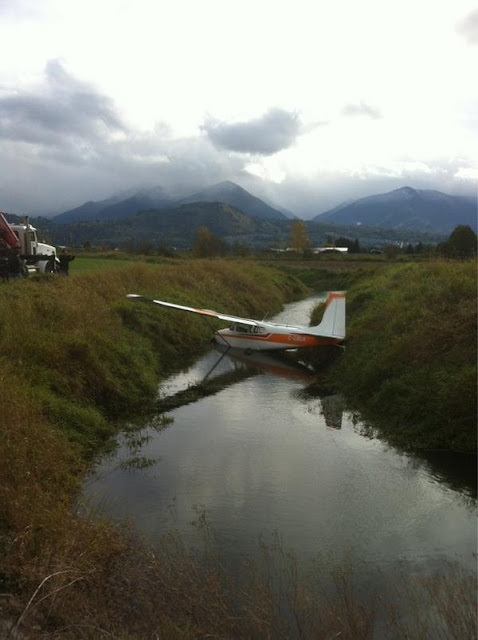 The pilot held a private pilot certificate with a rating for airplane single-engine land. He reported a total of 369 hours of flight experience, of which 272 hours were in a Cessna R182. Weather reported at the airport around the time of the accident was clear skies, visibility 10 miles, and light winds. On May 16, 2016, about 1106 eastern daylight time, N9077C, a Cessna R182, sustained substantial damage when the main landing gear collapsed during a precautionary landing at Lake City Gateway Airport (LCQ), Lake City, Florida. The private pilot was not injured. The airplane was registered to a private company and operated by the pilot. A visual flight rules flight plan was filed for the flight that originated at Punta Gorda Airport (PGD), Punta Gorda, Florida, about 1000, and destined for DeKalb-Peachtree Airport (PDK), Chamblee, Georgia. Visual meteorological conditions prevailed for the personal flight conducted under 14 Code of Federal Regulations Part 91. The pilot stated that about 1-hour into the flight, the entire instrument panel "began flickering then went completely dead." He checked all of the circuit breakers and reset the avionics master switch, but was unable to restore electrical power. The pilot informed air traffic control of the electrical failure and that he would be making a precautionary landing at LCQ. He then reduced speed and extended the landing gear. The pilot said that when he visually checked the left main gear (pilot side) it appeared to be down and locked but, he was unable to verify because the gear down-and-locked light was not working due to the loss of electrical power. When the pilot arrived at LCQ, the control tower used light gun signals to instruct him to fly by the tower, after which, they cleared him to land with a solid green light signal. When the airplane touched down, the main gear collapsed and the nose gear remained extended. This resulted in substantial damage to the right horizontal stabilizer. Several antennas and the rightwing tip were also damaged. 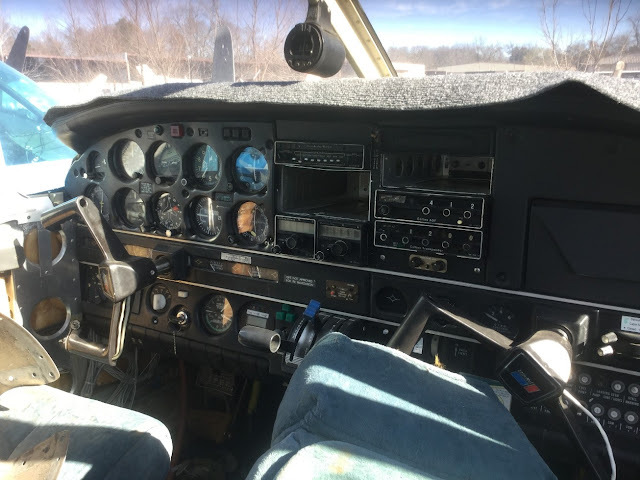 A postaccident examination of the airplane by a Federal Aviation Administration (FAA) certified mechanic revealed the main electrical contactor was burned and had shorted out internally. The part was original to the airplane and had accrued about 3,235 hours. The pilot held a private pilot certificate for airplane single-engine land. He reported a total of 369 hours, of which, 272 hours were in a Cessna R182. CANADIAN REGISTERED JAZZ AIR FLIGHT 824 BOMBARDIER CRJ9 AIRCRAFT, ON FINAL SUSTAINED A BIRD STRIKE, LANDED WITHOUT INCIDENT, INSPECTION REVEALED ENGINE COWLING DAMAGED, REAGAN NATIONAL AIRPORT, WASHINGTON, DISTRICT OF COLUMBIA. AIRCRAFT ON LANDING STRUCK THE PROP AND WING, SALT LAKE CITY, UTAH. RDDL430, EMBRY RIDDLE CESSNA 172 AIRCRAFT, REGISTRATION NOT REPORTED, ON LANDING SUSTAINED A TAILSTRIKE, DAYTONA BEACH, FLORIDA. 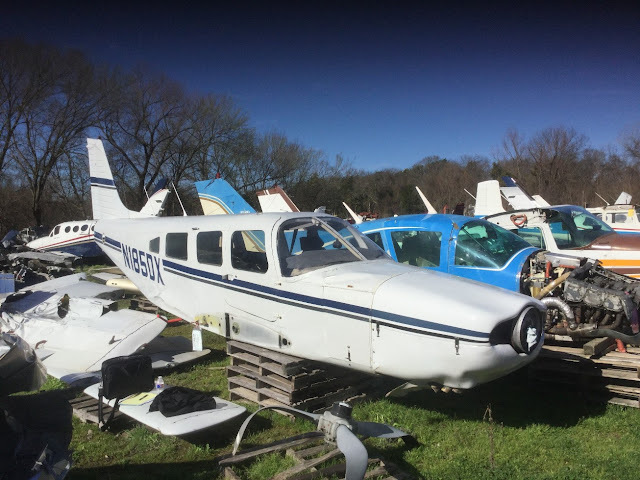 On May 13, 2016, about 0830 central daylight time, a kit built Vans RV-6 airplane, N700MJ, departed the runway and impacted trees during an attempted takeoff from the Aero Country Airport (T31), McKinney, Texas. The private rated pilot was not injured and the airplane was substantially damaged during the accident. The airplane was registered to and operated a private individual, under the provisions of 14 Code of Federal Regulations Part 91 as a personal flight. Day visual meteorological conditions prevailed at the time of the accident. An initial report from the pilot stated that during the takeoff roll, the airplane veered off the runway and into some trees. He added that the airspeed was too low for the rudder to be effective, and suspected that something must have broken. The responding Federal Aviation Administration Inspector noted the airplane had sustained substantial damage to both wings and fuselage. AIRCRAFT FORCE LANDED IN A DRY RIVER BED AFTER BALLISTIC PARACHUTE WAS DEPLOYED, NEAR BLOOMFIELD, NEW MEXICO. AIRCRAFT ON LANDING SUSTAINED UNKNOWN DAMAGE, DOTHAN, ALABAMA. 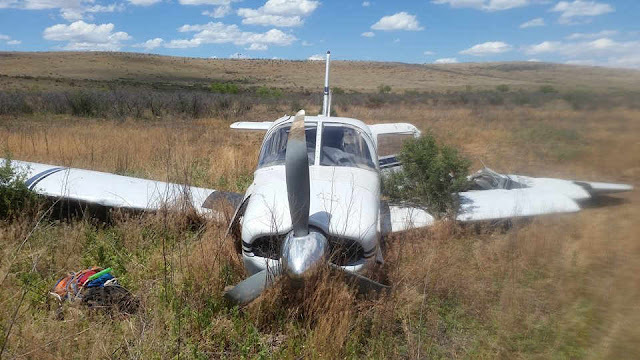 BLOOMFIELD, N.M. — A Colorado man escaped injury when the small plane he was piloting crashed in an area of farmland in New Mexico. New Mexico State Police say the Cirrus SR22 aircraft went down about 10 a.m. Friday some five miles east of Bloomfield. They say 53-year-old Robert George Hart III of Pagosa Springs told responding officers that he was flying home after taking off from Albuquerque when the plane's engine malfunctioned. Hart says the aircraft began to lose altitude so he activated the parachute on the plane and landed safely in an open area. Authorities say the aircraft is registered to Coastal King Aviation LLC of Corpus Christi, Texas. State Police say there was no property damage caused by the crash, which will be investigated by the National Transportation Safety Board. BLOOMFIELD — The pilot of a single-engine plane that came down near Bloomfield this morning escaped with no injuries after deploying the plane's parachute and landing in an open field. Robert Hart III, 53, of Pagosa Springs, Colo., was flying a Cirrus Model SR22 aircraft north from Albuquerque to Pagosa Springs when the plane's engine started to malfunction, according to New Mexico State Police press release. Hart was flying about 5 miles east of Bloomfield around 10 a.m. when he activated the plane's parachute and used it to land the plane and him safely in an open field, the press release states. The plane crashed along the San Juan River, just north of County Road 4990, according to San Juan County Sheriff's Office detective Lt. Kyle Lincoln. No property damaged resulted from the crash, according to state police. The plane was found on the south side of the San Juan River just north of 664 County Road 4990, according to coordinates provided by Lincoln. The San Juan County Communications Authority received multiple calls about the incident, Lincoln said. One caller hiked down to make contact with Hart and reported that he had no injuries. 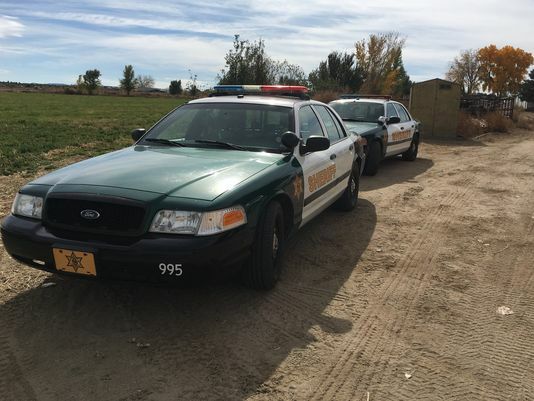 Sheriff's office deputies responded to the scene, along with the San Juan County Fire Department, paramedics from the San Juan Regional Medical Center and state police officers. According to state police, the plane was registered to Coastal King Aviation LLC, based out of Corpus Christi, Texas. The investigation is being handled by state police, and the National Transportation Safety Board has been contacted about the incident. N490WN SOUTHWEST AIRLINES FLIGHT SWA147 ENCOUNTERED TURBULENCE, 2 PERSONS ON BOARD SUSTAINED POSSIBLE SERIOUS INJURIES, 2 SUSTAINED UNKNOWN INJURIES, RETURNED AND LANDED WITHOUT INCIDENT, BOSTON, MASSACHUSETTS. BOSTON —A plane was forced back to Logan International Airport overnight after severe turbulence left two flight attendants injured. Southwest Airlines Flight 147 from Boston to Chicago-Midway left Logan at 11 p.m. Monday. Less than an hour into the flight, it was forced to turn around because of the turbulence. “I felt the pressure in my seat, and it was pretty crazy, and then it was followed up by an extreme release of pressure,” passenger Nick Picker said. "It left me a little disoriented just sitting in my seat." According to FlightAware.com, flight 147 diverted over southern Vermont at approximately 11:38 p.m. Prior to that time, the Boeing 737 reached an altitude of around 37,000 feet. Winds at that time and in the vicinity of the incident were forecast to be very strong from the west between 120-150 mph, changing rapidly with distance. An ambulance met the plane at the gate. Southwest said the flight crew was taken to a local hospital for further medical attention. A new crew was brought in and the 133 customers continued on Flight 147 to Chicago-Midway. “We're just glad to be here, glad that everyone is alright. It wasn't serious. Everyone is alive. That's all that matters," Piker said. SOUTHWEST AIRLINES FLIGHT SWA2703 BOEING 737 AIRCRAFT, REGISTRATION NOT REPORTED, ON PUSHBACK FROM THE GATE, ITS WINGLET WAS STRUCK BY A TRUCK, NO INJURIES, AIRCRAFT SUSTAINED MINOR DAMAGE, BALTIMORE, MARYLAND. The pilot of the glider reported that due to the lack of thermals, he decided to land on an off-airport field. 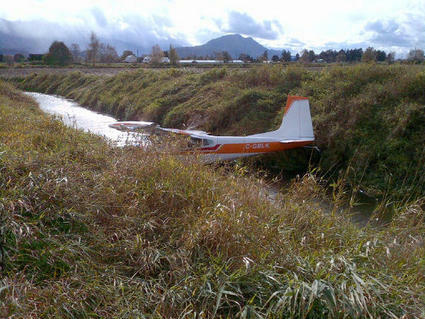 The pilot further reported about 20 feet above the ground on final approach he encountered turbulence behind obstacles. Subsequently, the glider entered an aerodynamic stall and impacted terrain in a nose low attitude. The right wing, fuselage, and canopy were substantially damaged. The pilot did not report any mechanical malfunctions or failures with the glider that would have precluded normal operation. The pilot's exceedance of the critical angle of attack on final approach in turbulent conditions, which resulted in an aerodynamic stall and collision with terrain. MADISON CO., Ind. 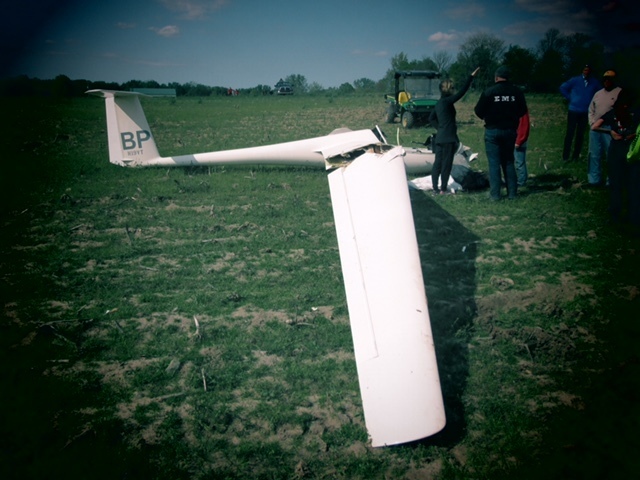 -- The FAA will be in Madison County on Monday to investigate the crash of a glider. Deputies were called to the 7200 block of W 700 N shortly before 5pm Sunday. 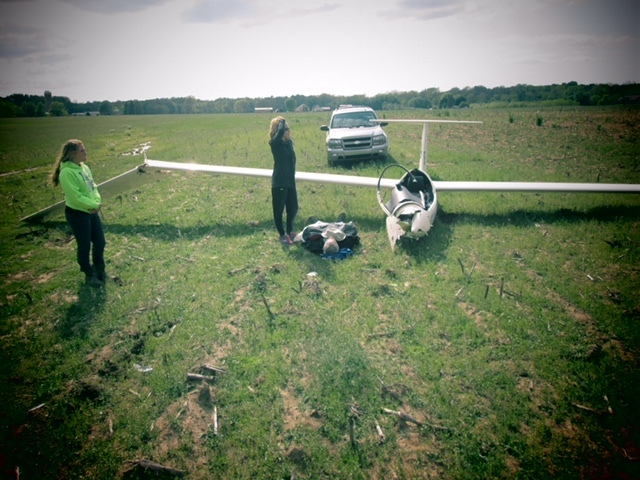 They found the pilot of the glider, Richard Smith, 65, Greentown, Ind., lying on the ground. Smith told deputies that he caught a downdraft and was trying to recover from it but could not. He said the sailplane hit the ground, nose first, then the right wing caught the ground and knocked him back about 30 feet. The glider came to rest on its belly. Smith told deputies he was able to unbuckle himself and get out he glider after it went down. He was taken to Community Hospital to be treated for a stiff back and minor aches. CHARLOTTE, N.C. -- We all want a good deal-– especially when it comes to the ever increasing cost of flying. But what if that good deal came with another price? The FAA is now investigating Allegiant airlines after repeated mechanical issues and problems in the air. And the airline may soon be adding more flights in our area. South Charlotte mom Jennifer Branham recently booked a flight to see her grandparents in Tampa and brought her 8-year-old daughter with her. “Roundtrip price was almost half what it was gonna cost on other airlines,” she said. That’s because she flew out of Concord Regional Airport on Allegiant, a low cost airline looking to add flights to our area that more as more Charlotteans are travelling. The flight was fine, but when she got to Tampa, she refused to fly Allegiant to get back home to Charlotte. “There was a front page story on Allegiant about all the issues they’re having. I went ahead and re-booked immediately." NBC Charlotte went to the airport to shoot video of an Allegiant plane, but it was delayed an hour-and-a-half-- and that’s been happening across the country with Allegiant flights: mechanical issues, delays, even emergency landings. The Teamsters Aviation Mechanics union, a group working with the pilots union, published a report detailing what they call 98 separate and preventable issues from September 2015 to January of this year, including smoke in the cabin and pressurization issues. NBC Charlotte asked Allegiant for a response. In an email a spokeswoman said, “The Teamsters Aviation Mechanics Coalition has never inspected a single Allegiant aircraft and has no firsthand knowledge of our operation. The Teamsters currently represent our pilots and have a history of manipulating the media to attempt to exert pressure on contract negotiations. Allegiant is a safe airline." But just a few days ago, the FAA got involved, bumping up a planned evaluation of the airline from 2018, and instead launching an immediate investigation into Allegiant's practices. 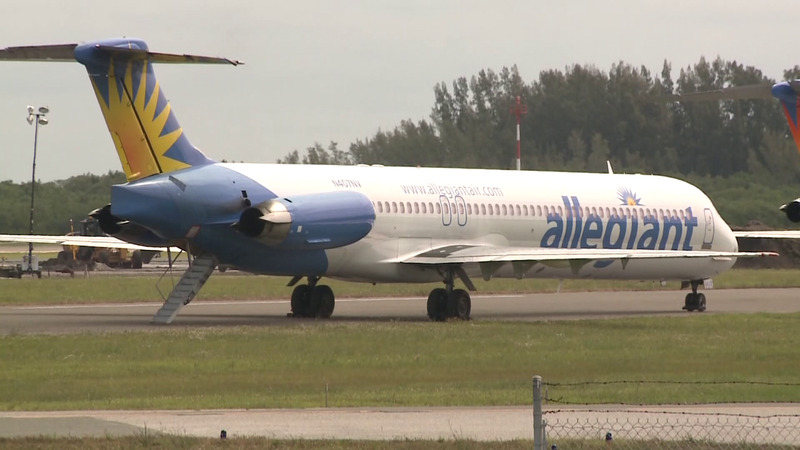 And still, Concord’s airport director Rick Cloutier says they’re making major improvements at the airport, spending 13 million, mostly federal tax dollars, on a new parking deck and a new terminal, in part to help convince Allegiant to add flights. When Allegiant first landed in Concord in 2013 they only had two flights a week, now there are 12, and the airport director says there will be more soon-– even with all the scrutiny the airline is facing. “It hasn’t impacted Concord yet so it really has nothing to do with us and we have no control over it,” he said. Jennifer Branham says the convenience and cost saving isn’t worth the stress. That review is expected to be done by the end of next month.